As the most visible part of an exhaust system, we pay the utmost attention to the tailpipes. Akrapovic has created special titanium tailpipes to enrich the visual enjoyment of the Slip-On or Evolution exhaust systems. 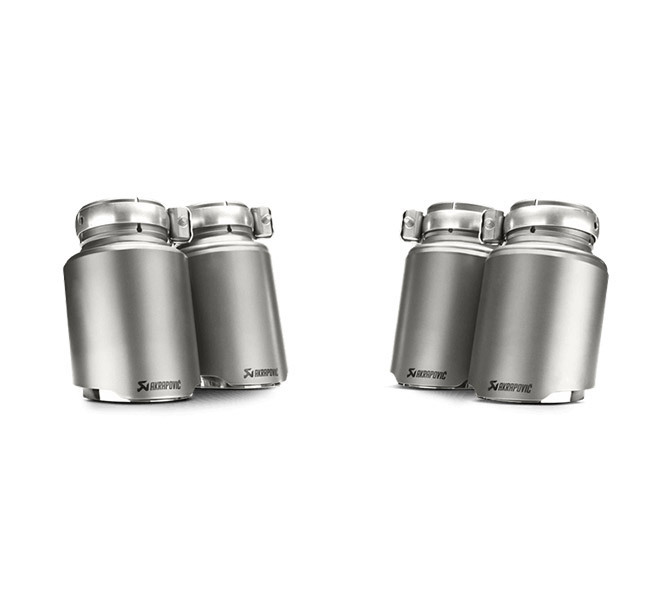 Sporting the unique Akrapovic round design, the titanium version combines polished and sandblasted titanium and a bigger diameter than stock tailpipes to make them stand out from the crowd even more. The new model was unveiled with distinctive Akrapovic design elements, and these beautifully crafted additions are designed to fit perfectly with the carbon- diffuser.